Ideal for schools, hotels and leisure centres. Easy to use modern high grade plastic polishing system will have the floor looking as good as new. Synthetic mops reduce application times and are machine washable. A modern high grade plastic polishing system. 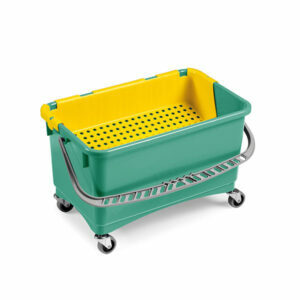 Polypropylene bucket with wheels and yellow wringer. Graduated in litres and gallons. 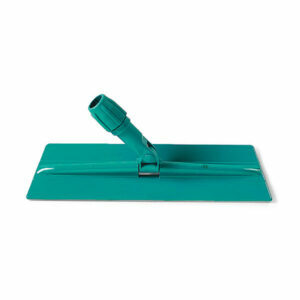 Polypropylene frame with hooks to use with polyester velco polish applicator heads (637) for wax spreading.